Amsterdam has become a popular tourist destination with accessible travel connections from all over the world. Direct flights depart from all major UK airports with an average flight time of 55 minutes. Amsterdam has one main airport, Schiphol (AMS) and is Europe’s 5th busiest in terms of international passenger volume. Airlines that fly to Amsterdam include EasyJet, Jet2, and British Airways. I would recommend booking your flights around 15 weeks before you depart to try and secure a discounted price, as demand is always high. 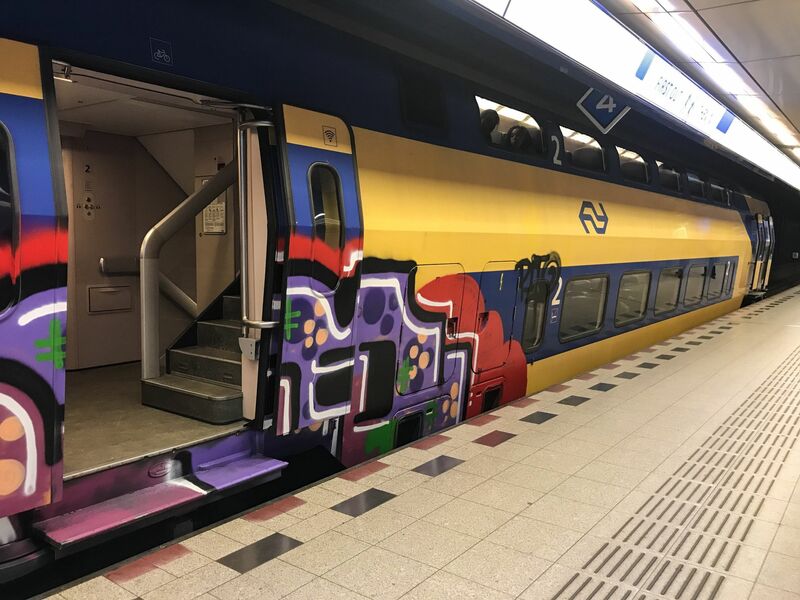 Since April 2018, Eurostar trains run direct from London to Amsterdam twice a day on weekdays and once a day at weekends. Journey times are 3 hours 41 minutes and this is an alternative to flying. Return journeys are not yet direct, and require a Thalys high-speed train to Brussels and then the Eurostar to London. However, this is all set to change in 2019 once the Dutch Government formally approves passport control in Amsterdam. 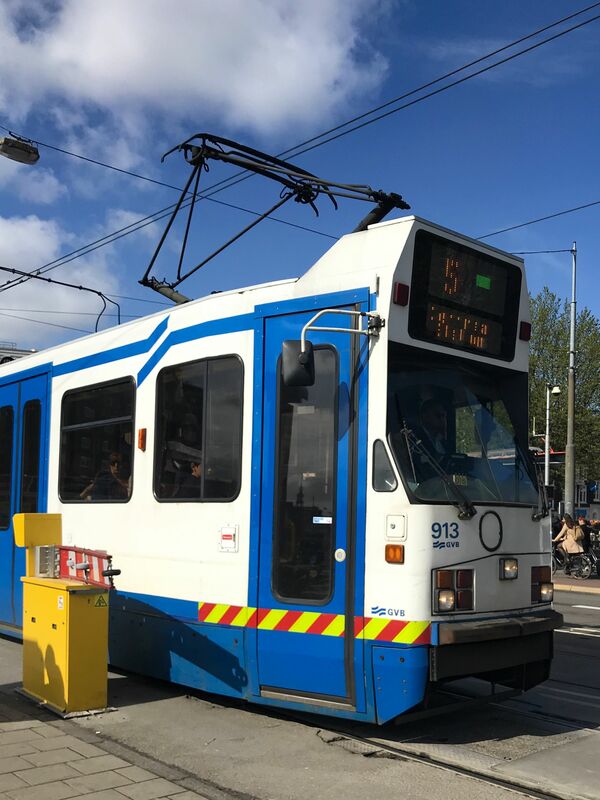 The quickest and cheapest way to travel from the airport to the city centre is to take the train from the main arrival’s hall direct into Amsterdam Centraal Station. Tickets cost €7.20 and trains depart from Platform 1 and 2, with an approximate journey time of 20 minutes. There are of course alternative ways of travel, including the Connexxion Airport Hotel Shuttle which stops at over 100 hotels en route from the airport, or alternatively a taxi which costs in the region of €40 to €50. Upon arrival in Amsterdam, you will quickly notice that few people travel by car. In fact, this city discourages driving within the canal ring and the majority will either cycle, walk or catch a tram. There are a multitude of cycle hire shops around the city, but a few to look out for include Green Budget Bikes, MacBike and Bike City. TIP: Pack comfortable footwear for walking. Your step count will be high. Single, day or multi-day tickets can be purchased for public transport, at a reasonable cost. Ticket machines can often be found at metro stations around the city. TIP: Do remember to tap in and out by presenting your ticket to the validator on board. Amsterdam has a wealth of attractions to see; in fact some careful planning in advance really goes a long way to make the most out of your trip. The Anne Frank House was my main priority. Ever since reading the diary as a teenager, I have been interested to see the museum in the flesh. Currently, there is a ticketed system for entry which means that you must purchase your tickets online in advance for a specific date and time. Around 80% of tickets are released two months in advance, with the remaining 20% released on the website on the day. I spent weeks logging on every day trying to secure a ticket and was disappointed not to get one. However, upon arriving in Amsterdam and signing on to the hotel Wi-Fi, I was able to buy two tickets online for that same day. Once you have bought your tickets, ensure that you arrive at the museum in plenty of time. 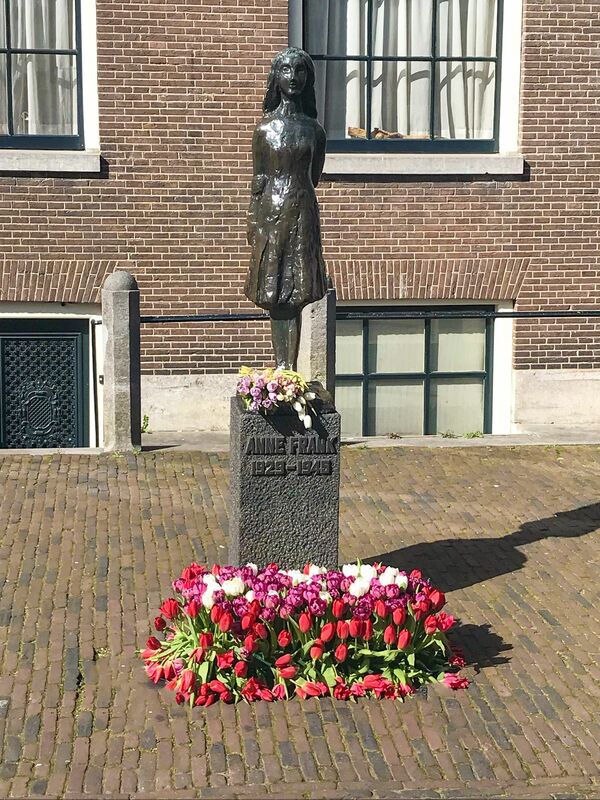 You will have the opportunity to visit the Secret Annex where Anne Frank and seven other residents lived for a total of 761 days between 1942 and 1944, as well as reading extracts from her diary. Dam Square or “the Dam” is at the heart of Amsterdam and will often be bustling with tourists, street performers and events. The Dam was built around the River Amstel in the 13th Century and the square marks its site. A must see is the Royal Palace, where official receptions take place, and the National Monument commemorating the Dutch who lost their lives during World War II. Now let’s talk tulips. These flowers bloom in March, April and May and if you visit Amsterdam in the springtime you will see them everywhere. I visited in late April and it was the perfect time to catch the hop-on hop-off bus to Keukenhof. 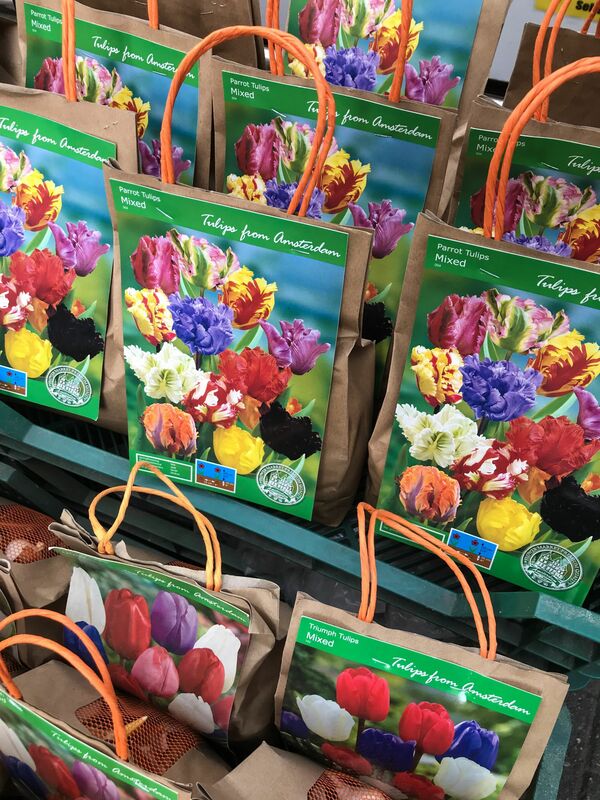 Over seven million tulips, daffodils and hyacinths are planted each year by 100 flower bulb companies. A small team of 40 gardeners maintain the world’s largest spring garden. 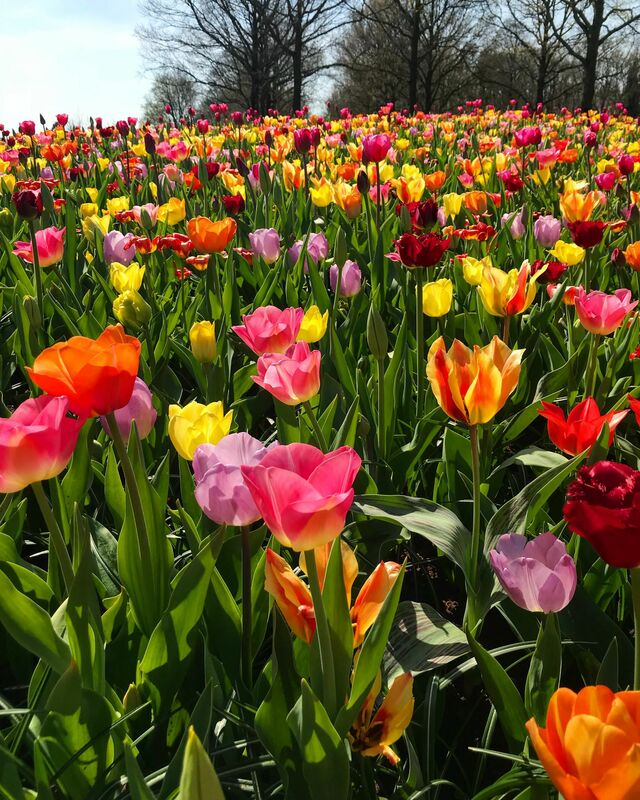 There are a vast selection of flower shows and exhibitions to see, a flower mosaic, as well as perfectly manicured lawns and magnificent flowerbeds – not forgetting the Dutch bulb fields with their never-ending rows of reds, blues and yellows. It is simply beautiful. You may like to visit Bloemenmarkt, Amsterdam’s floating flower market. Here you can purchase your tulip bulbs from the floating barges ready for planting in the spring. Each airline passenger is allowed to fly home with 2kg of bulbs. However, I recommend checking the Border Control website before you travel. If you are over the age of 18 and you like a tipple or two then make your way to the Heineken Experience. 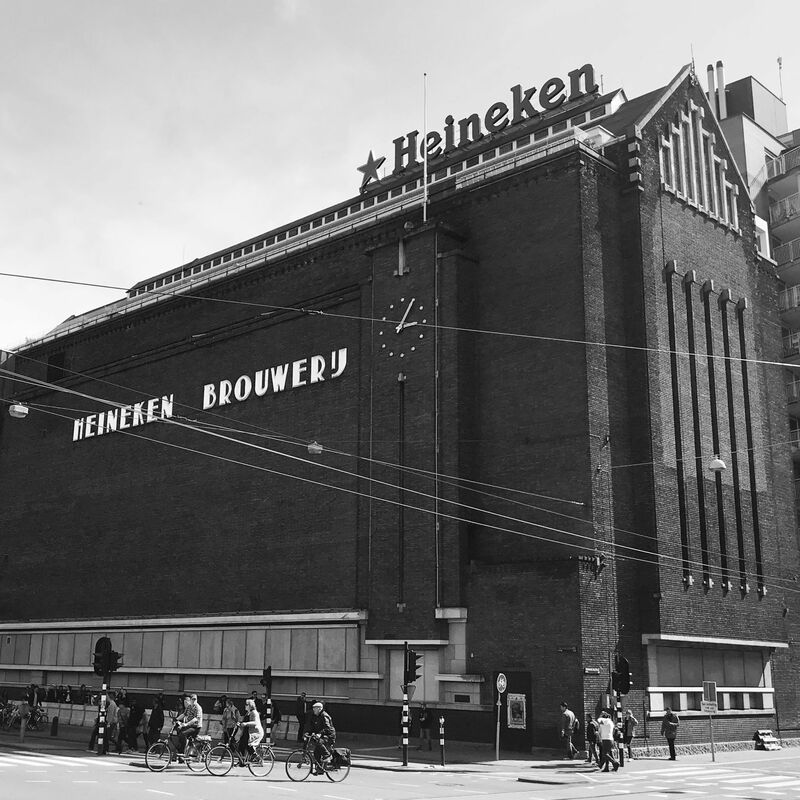 It is an interactive and informative tour around the famous brewery, learning about the history of Heineken with a visit to the copper stills and stables, plus the chance to enjoy some tasters. To see one of the largest exhibitions of Banksy street art, then head to the Moco Museum. 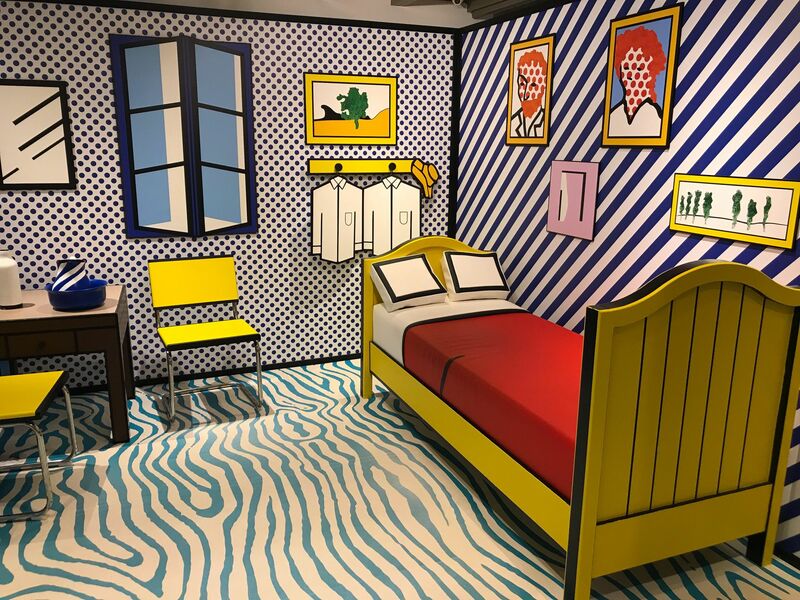 There is a wide range of modern, inspiring and contemporary art on show including Andy Warhol and Roy Lichtenstein. 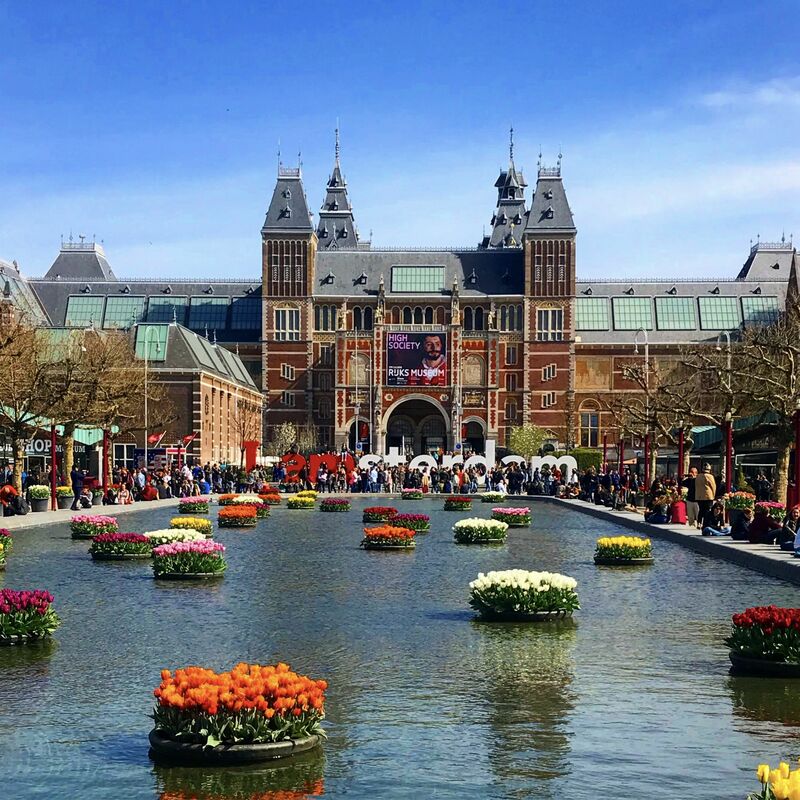 This boutique museum overlooks Museumplein and is the perfect place to grab a snap by the iconic ‘I am Amsterdam’ sign. My final and favourite place to go in Amsterdam is De 9 Straatjes, or ‘The Nine Streets’. 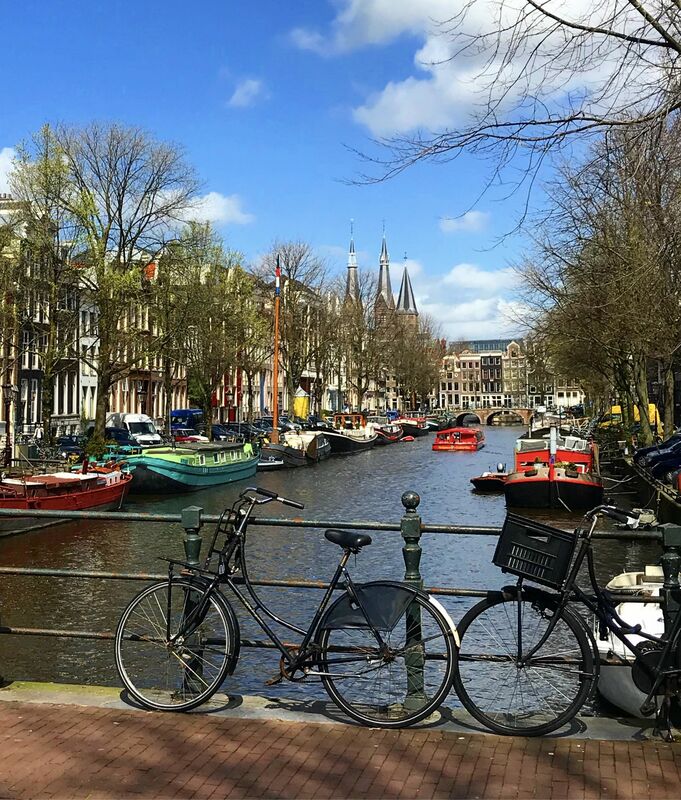 This little neighbourhood is the perfect place to see the grandest canals and waterways including Keizersgracht and Herengracht. This area is so pretty and picturesque, with lines of bicycles placed in front of the canals. The streets here are bursting with vintage and designer shopping, as well as boutique hotels and cosy cafes and eateries. It is a definite must full of locals. What a great first post! Always wanted to go to Amsterdam, so you’ve given some awesome looking recommendations on what to do! Really looking forward to reading some more posts in the future! I’ve travelled to a few places in The Netherlands but have not made it to Amsterdam yet. I’ll definately be saving this post as you have shared some great tips! Keukenhof is so beautiful isn’t it, I took my Mum for Easter. 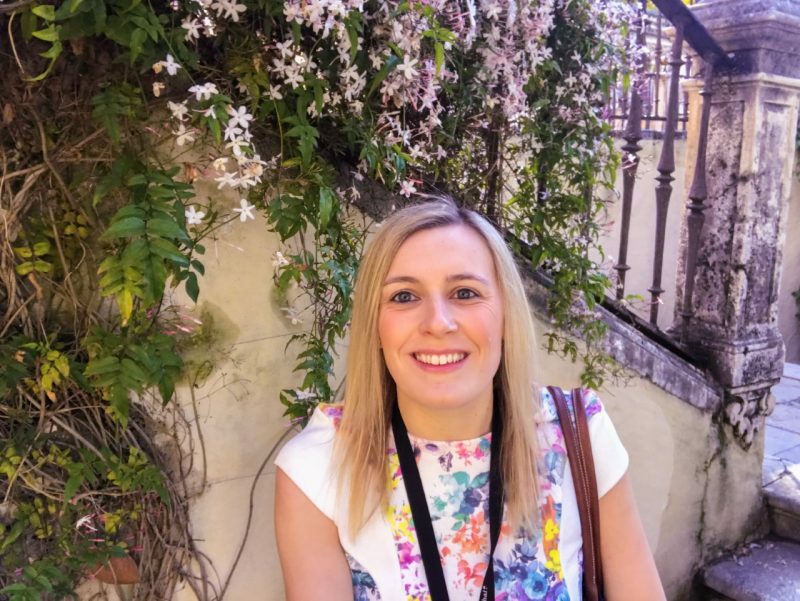 I’m so excited to visit Amsterdam when my partner and I move to the UK later this year – actually I’m excited to visit lots of parts of Europe within close distance of England! I’ll definitely be bookmarking this page to help plan when we do travel to Amsterdam. I love it Amsterdam and I’ve visited twice now, the second time on a day trip from Rotterdam (which I’d also recommend). It looks like you packed a lot into your time there as well. I’ve followed you on Instagram now too. Great first post! I’ve never been to Amsterdam but hoping to go there soon. You have given me some great idea on what to see once I get there. Thanks for sharing!